The National Union of Metalworkers of SA (Numsa) has said it will "meet Ramaphosa in the streets" after the president announced the unbundling of Eskom in his State of the Nation Address (SONA). 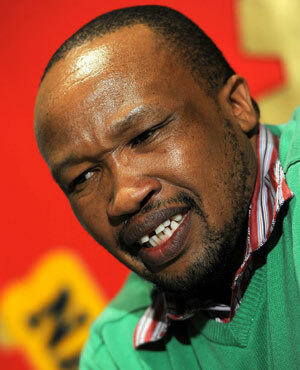 Numsa is one of three recognised unions at the debt-laden power utility. Ramaphosa on Thursday evening announced that Eskom would be split into three separate entities – generation, transmission and distribution – which would still fall under the company Eskom Holdings. Numsa spokesperson Phakamile Hlubi-Majola told Fin24 on Thursday evening that the union rejected Ramaphosa's announcement. "Ramaphosa called for a tariff increase on energy, which we reject. That would be disastrous for the poor and the working class. The only option is to mobilise the working class to defend Eskom and save our SOEs (state-owned enterprises). We will meet Ramaphosa in the streets!" In 2018 Numsa engaged in months of on-and-off talks with Eskom management over wage increases, as well as strikes, pickets and threats of a long-term shut down. Unions Solidarity and the NUM were also involved in the negotiations. Eskom had initially proposed a wage freeze, citing fiscal constraints. The utility was forced to up this to 7.5% before Numsa signed the deal. Eskom management later blamed intimidation and strikes during the drawn-out negotiations for worsening load shedding, but Numsa denied its members were responsible.